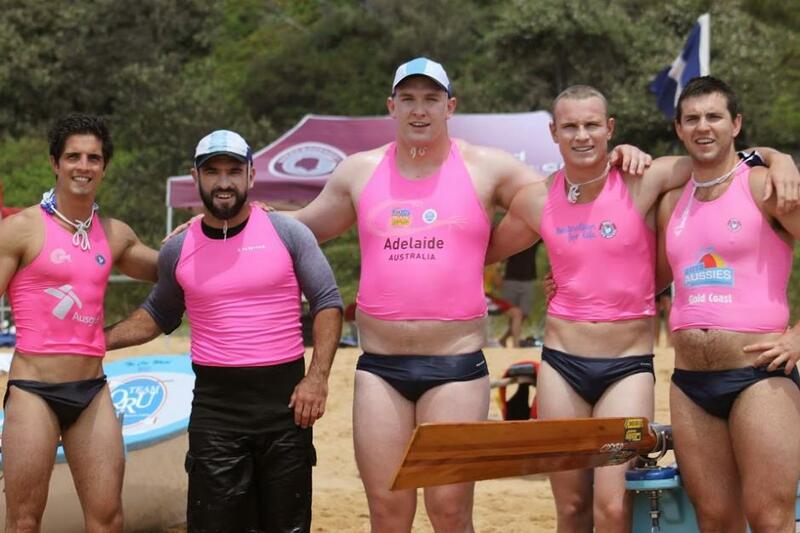 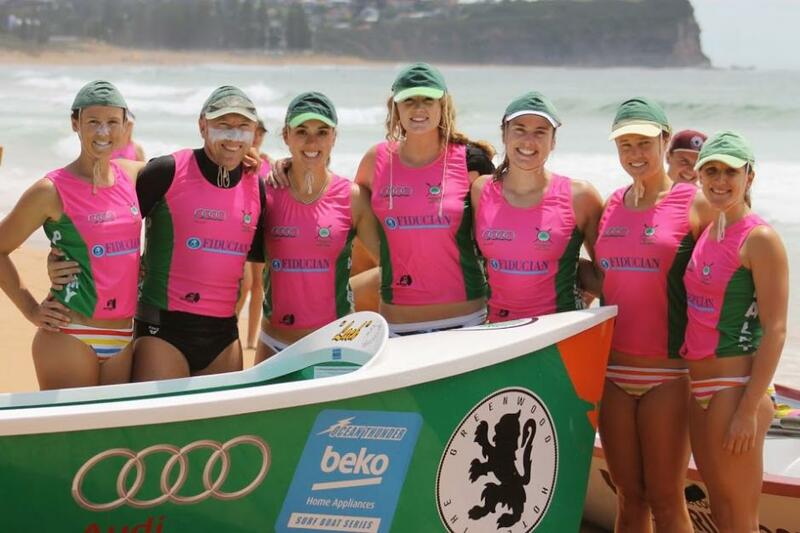 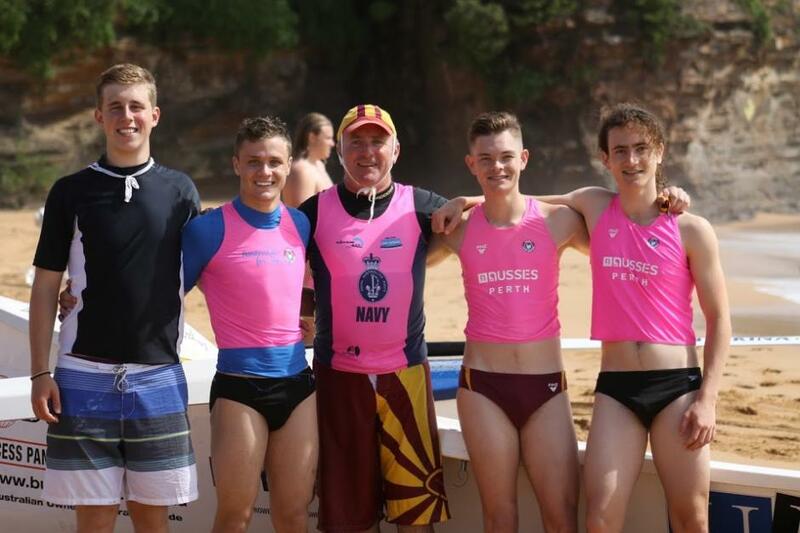 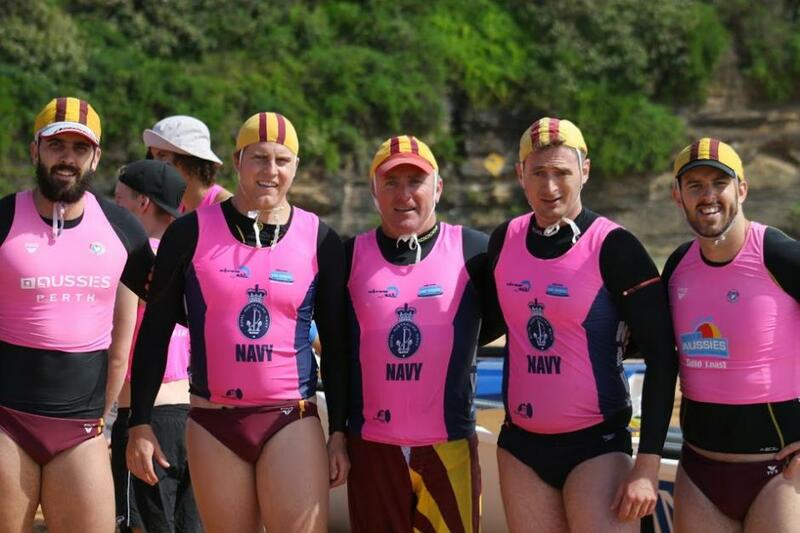 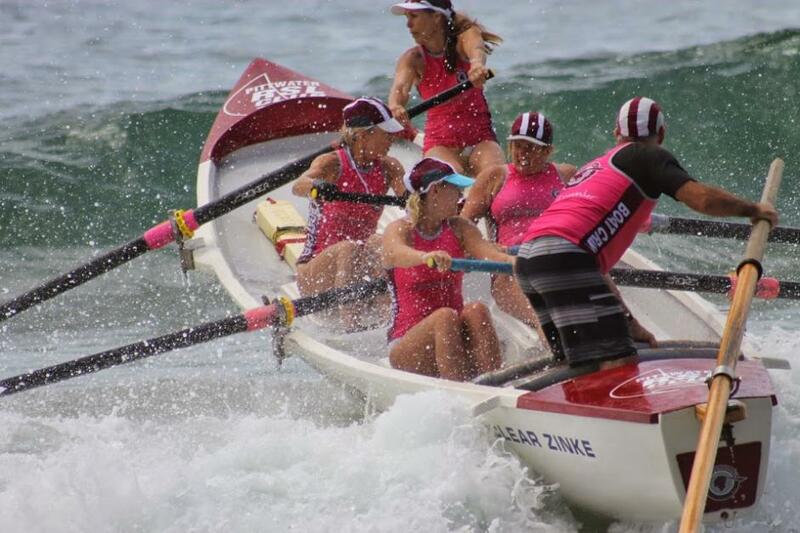 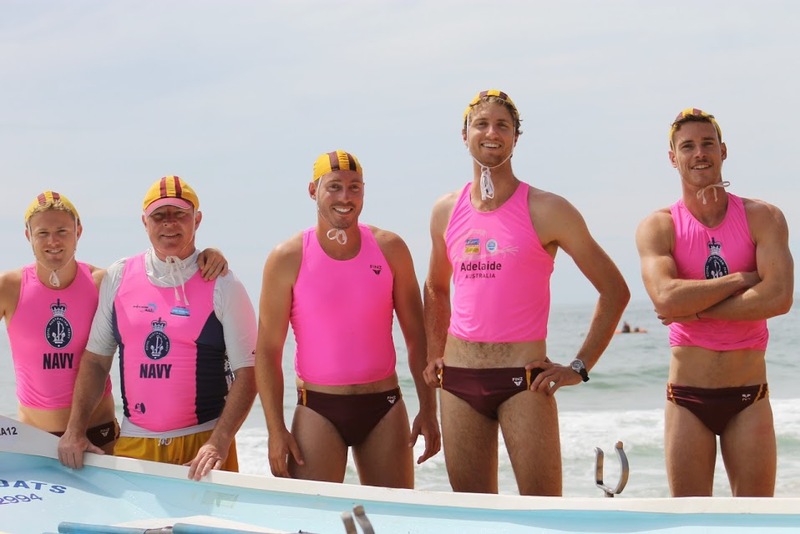 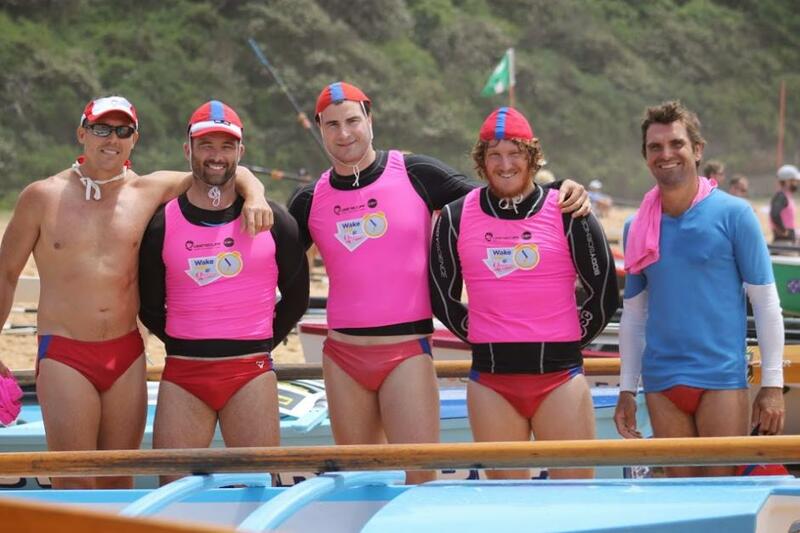 Warriewood SLSC's Wildcats made the finals of Saturday 6th of December's Round three of the 2014-15 Season's Surf Life Saving Sydney Northern Beaches Boat Premiership. 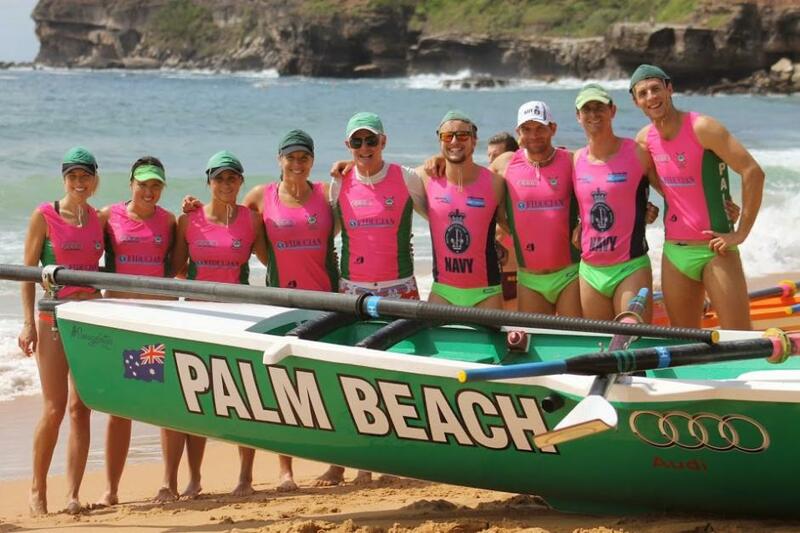 The host club ran a smooth, fast carnival ably supported by a great crew of officials. 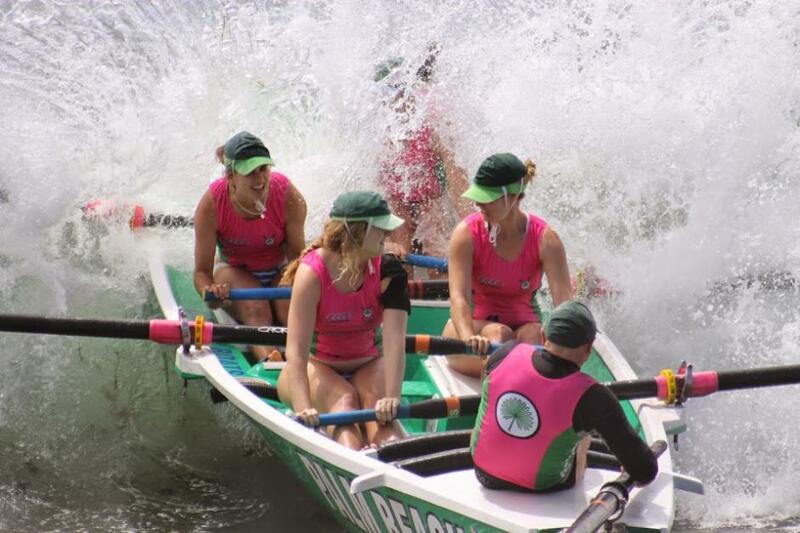 In between heats some clubs could be seen rowing out beyond the breakers across the alleys - proving it is not only the women's crews who can display grace. 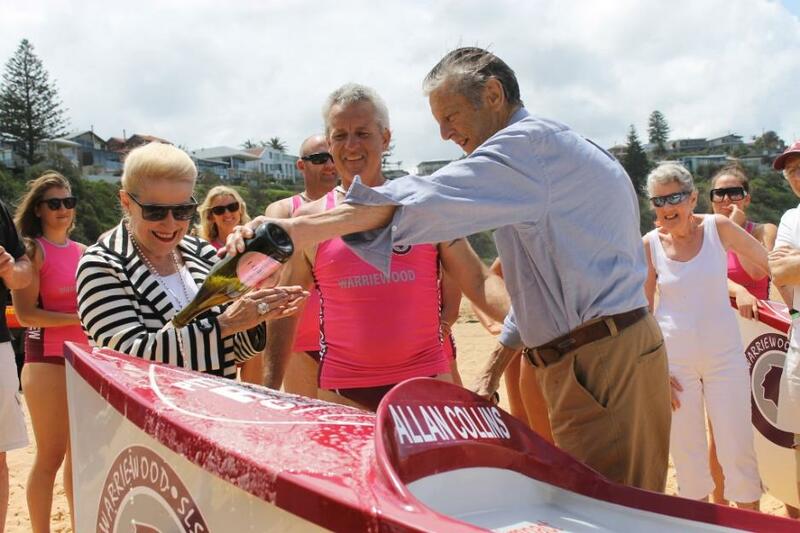 Saturday's carnival also honoured Allan Collins, a gentleman sweep of the Warriewood club, who contracted pneumonia earlier this year and passed away in October. 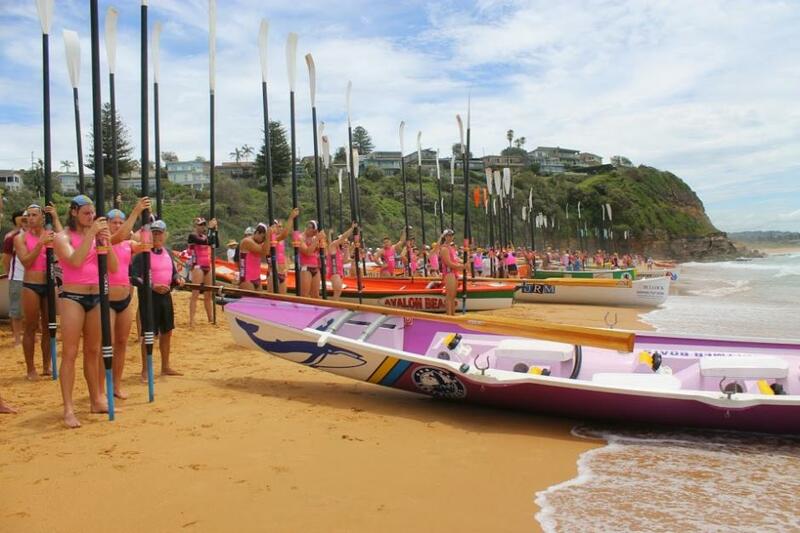 All crew members from all clubs raised their oars in salute and a minute's silence to Allan, whose ashes were given back to the beach he loved. 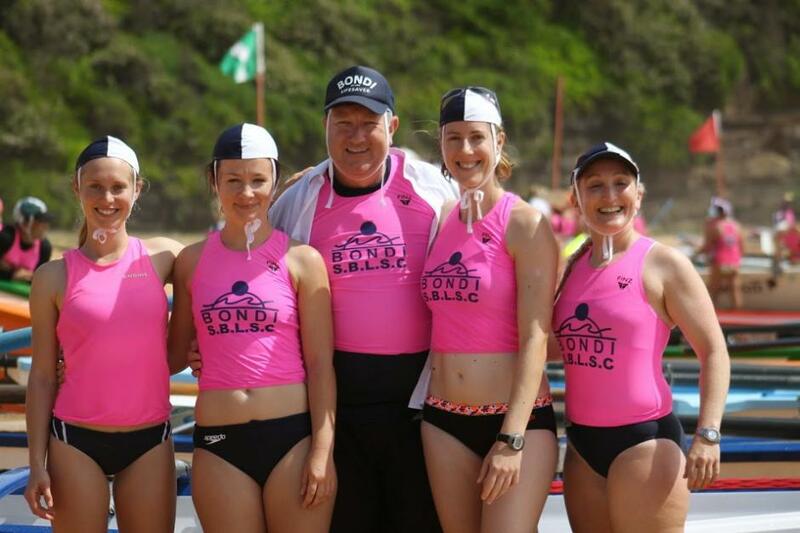 At Warriewood's 2013 Boat Carnival a surfboat to honour Allan was launched and we were fortunate to interview him for a Profile which ran in January of this year, as well as welcome him as our guest for a roast lamb lunch - his choice! 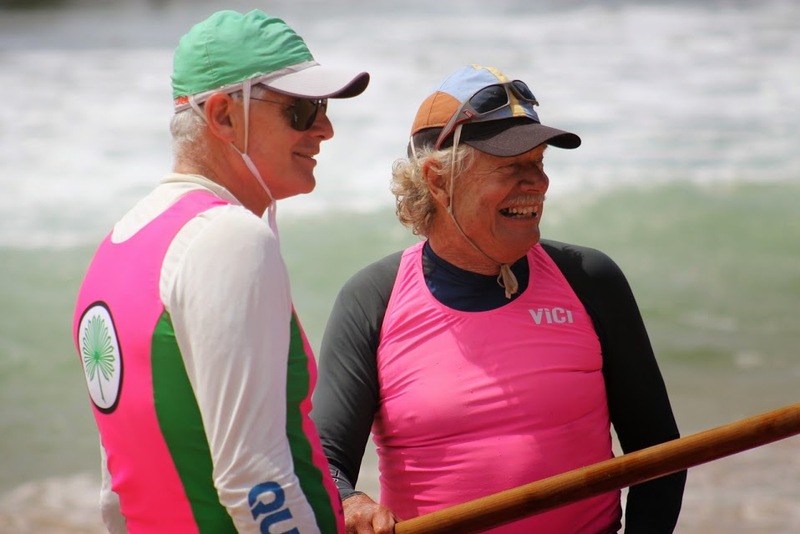 - not have to twist his arm too hard to take home seconds and a large slab of cake, and were treated to long chats about all things surfboats up until a few weeks before we all lost him. 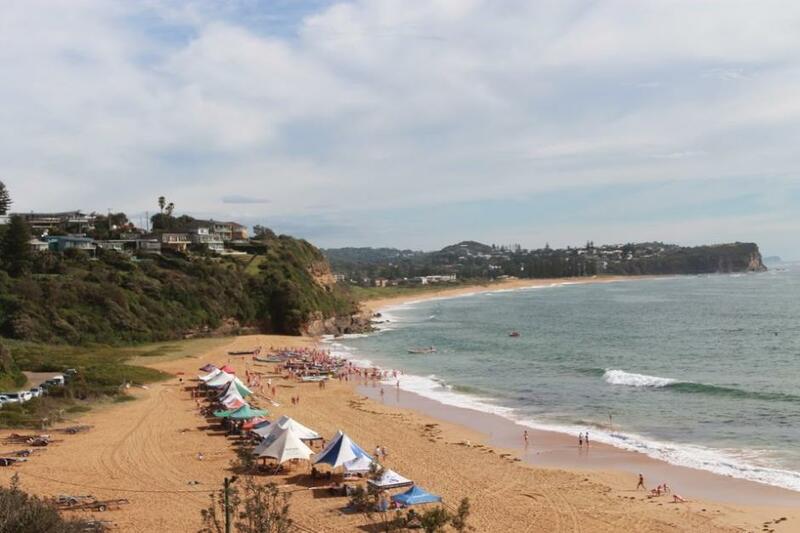 Warriewood beach with the high tide shorebreak and waves that dropped off under boats on the run back to the beach, challenged some and benefited those that caught them. 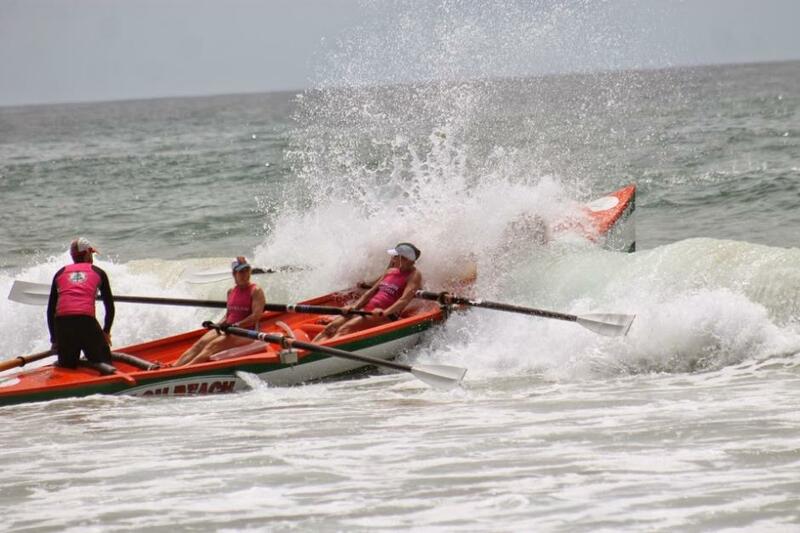 By this stage of this season's Boat Premiership all crews have lifted and some heats showed neck in neck finishes - fluidity and stretching themselves, as well as having a great time keeping fit is bringing out the best in individuals and cohesion as crews. 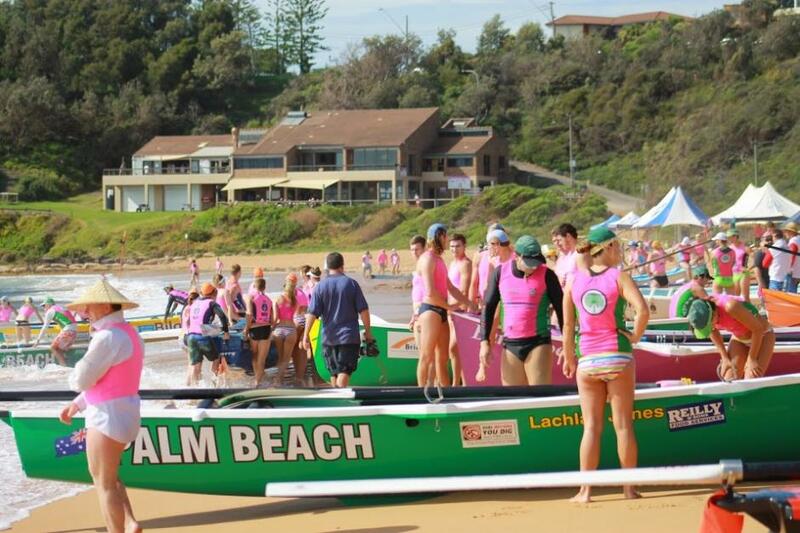 Surf Boat Crews from southern Sydney beaches were part of this year's carnival and are also hosting Boat Carnivals of their own over coming weeks - the Surf Life Saving Sydney Northern Beaches website lists all these in their Surf Sports 2014-15 calendar. 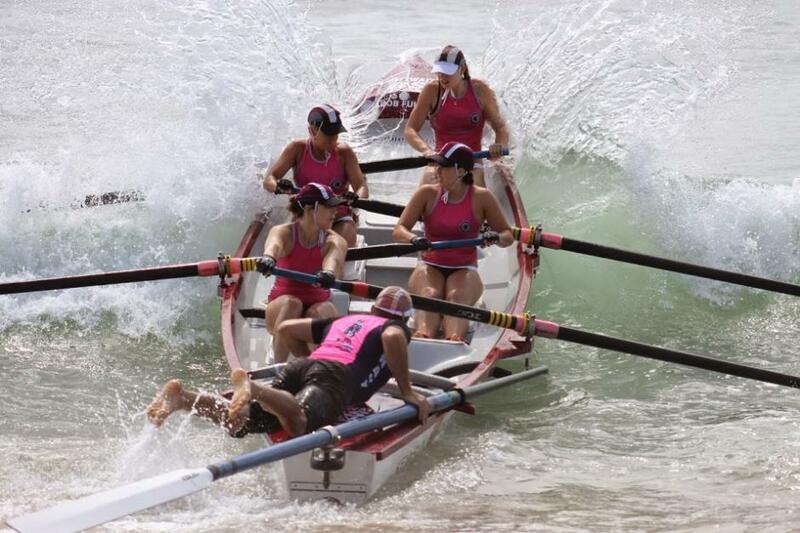 Please send us an email, with image number, if you want a high res. 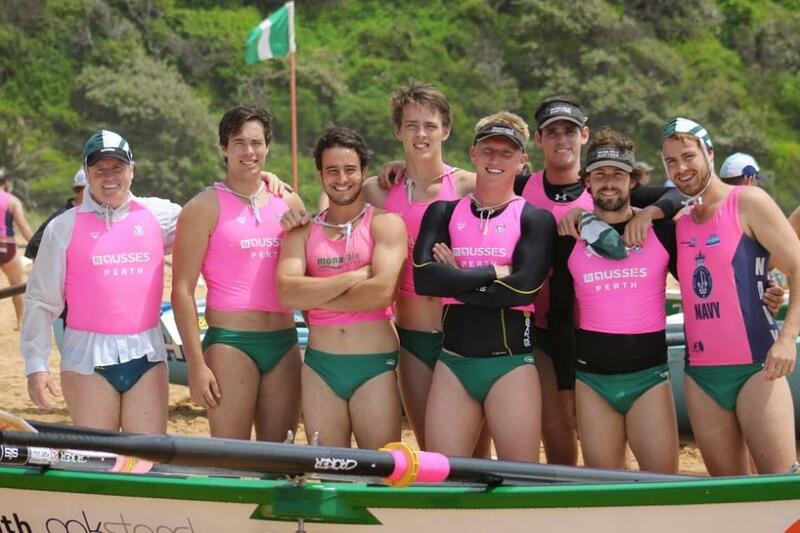 copy (no cost involved). 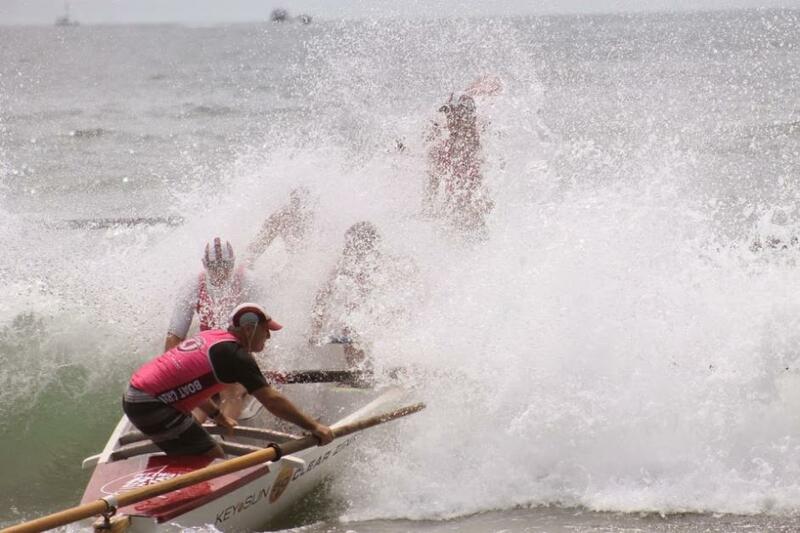 The next round of the SLSSNB Boat Premiership will be hosted by Queenscliff SLSC on Saturday 17th of January so we'll take this opportunity to wish you all a very Merry Christmas, a brilliant New Year's - thanks for all the exciting intensity so far this season - and may many a wave rise to speed you to shore until then! 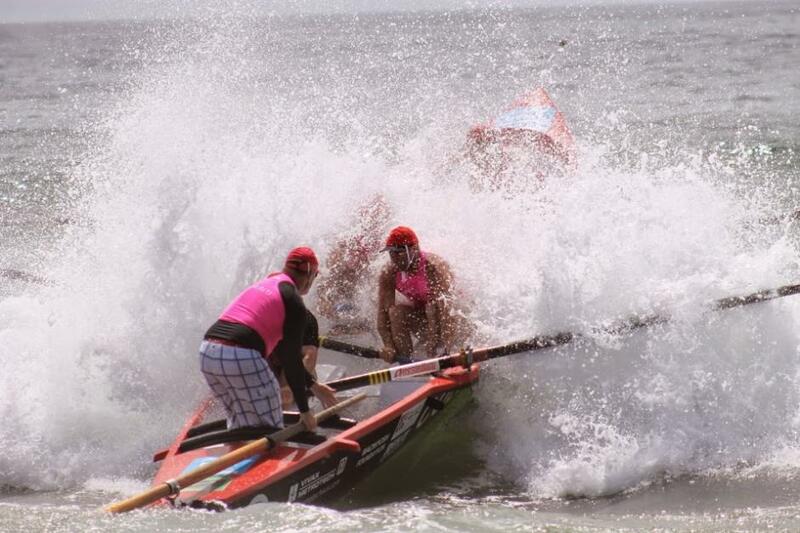 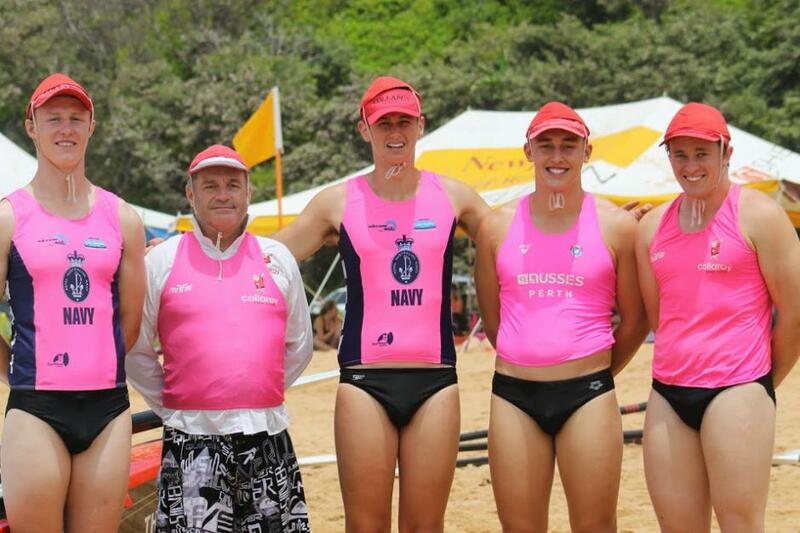 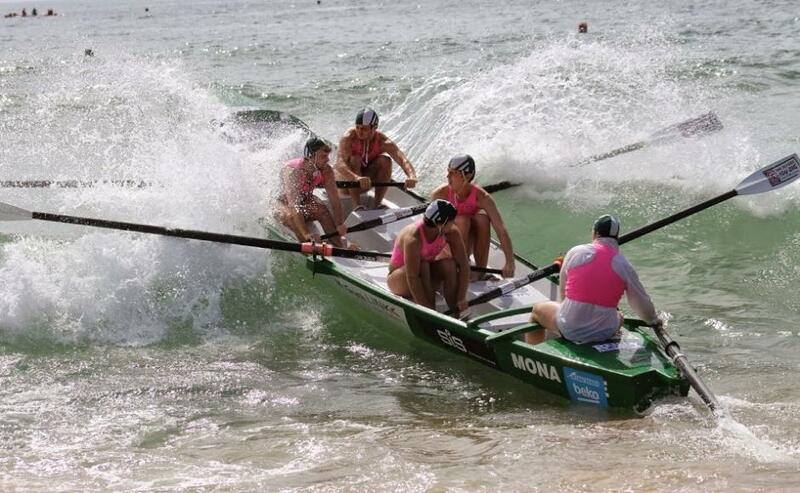 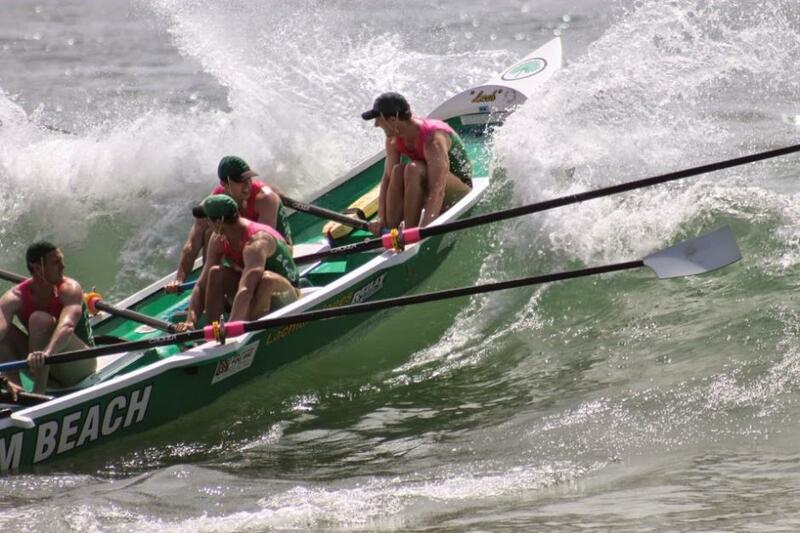 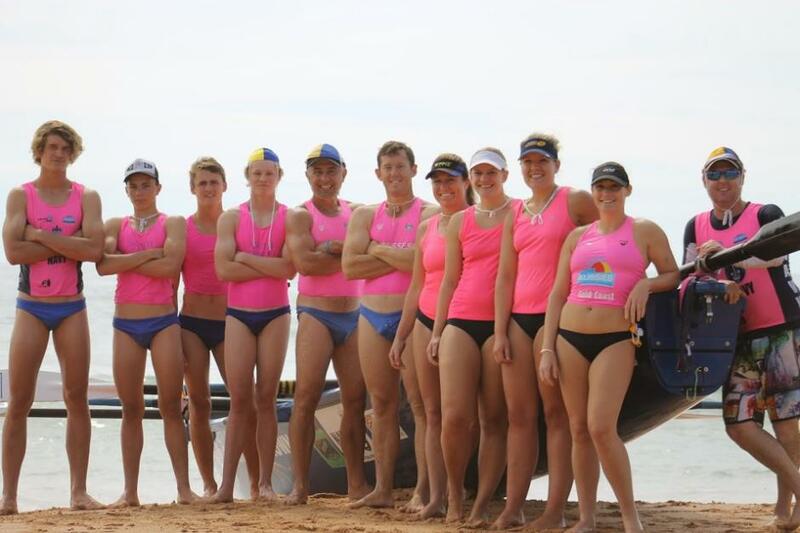 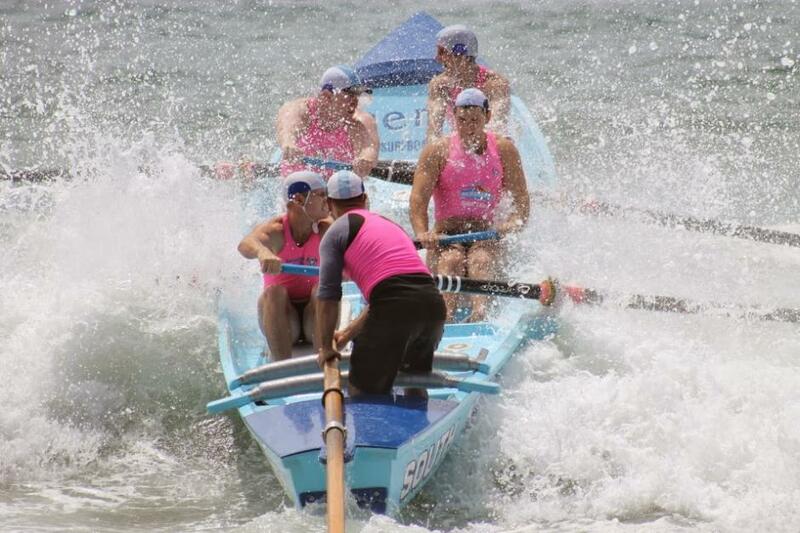 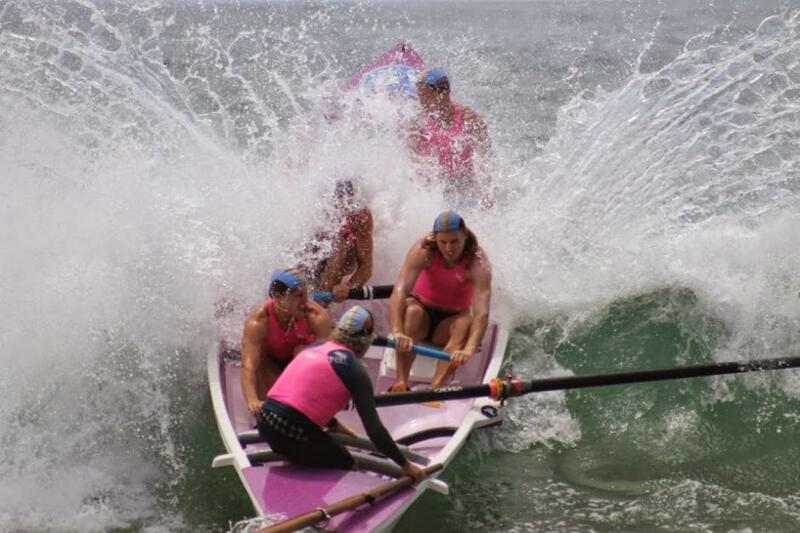 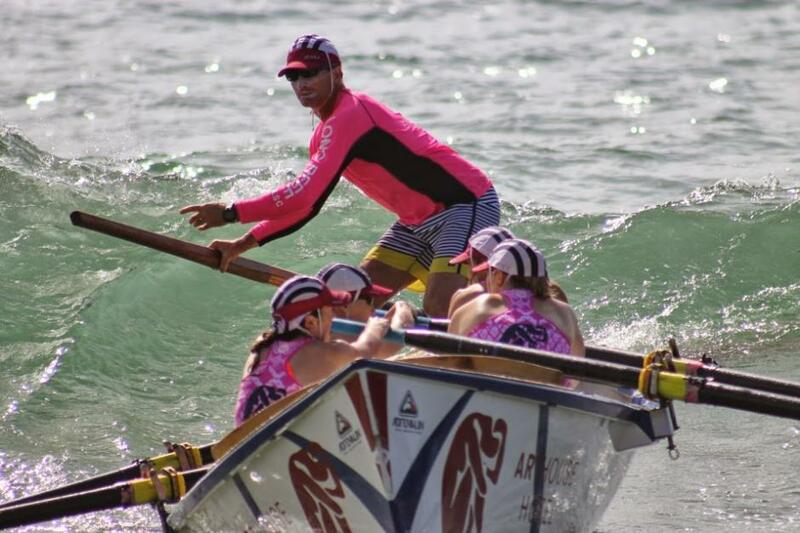 Newport SLSC - 'Viperfish' - Under 19's - 1st and 2nd ever carnival for these crew members. 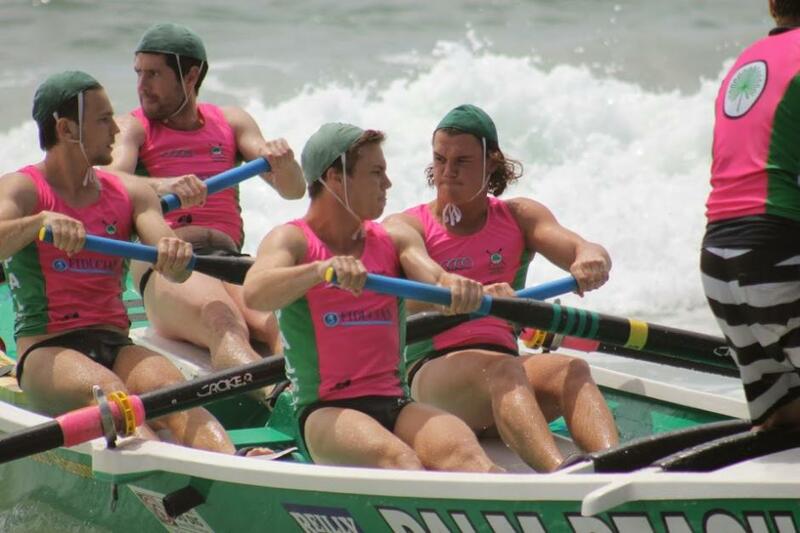 Kyle, Harry, Max, (Jarrad: rowing with other crew this carnival) and Braden: "It's Intense" - "Exciting" - "Keeping me fit". 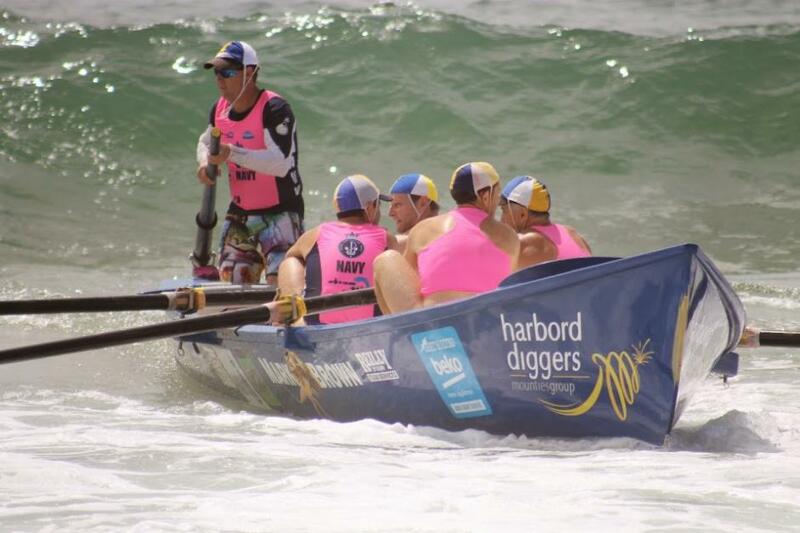 Sweeps Matt Giblin and Midget Farrelly - for Palm Beach and Whale Beach SLSC's.